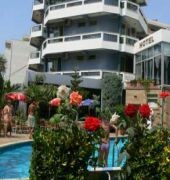 Dyrrah hotel has 22 rooms, from the following: 2 rooms with double bed, 8 rooms with double bed and armchair,12 rooms with single beds for two and for three persons. Price range in Low season from 40 euro and in high season prices range from 60 euro. In this price is included breakfast and parking, also and pool in high season. 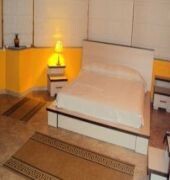 All are equipped with TV, air condition, minibar, direct dial up phone, internet. Also restaurant is smart and confortable environment where you can sample the classic dishes of Mediterranian cuisine and discover the traditional flavours of the local area. 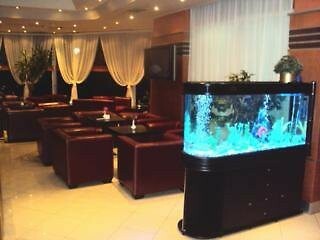 Hotel Dyrrah offers also Conference room 150 seats, outstanding outdoor swimmingpool, bar, high quality service.